Hi, great to see you at I&J Photographic's portfolio site. My name is Ian. 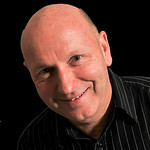 Professional photography has been my life for 28 years - look how young I look! - I own a fabulous business in Melbourne, Australia. Enjoy looking through our portfolio and please leave us a comment. We love feedback.